Plunging oil prices have even convinced some Republicans that raising gas taxes to pay for infrastructure and roadway repairs is a good idea. When Governor Jerry Brown unveiled his 2015–16 budget proposal earlier this month, he noted that California needs to spend about $59 billion to catch up on necessary maintenance and upgrades of roads, bridges, and other transportation projects. The governor's budget, however, allocated no funds for these much-needed projects, because he said the state has no extra money to spend. But Brown may be overlooking one avenue for financing the state's transportation needs: a gas tax increase. In fact, with oil and gas prices continuing to plunge worldwide, there may never be a better time than now to raise the state's gas tax rate. Even some Republicans in Congress are voicing support for increasing the federal gas tax as a way to pay for federal highway and infrastructure projects. Oklahoma Republican Senator James Inhofe, a climate-change denier, recently said that a federal gas tax hike is "clearly one of the options" to fix roads and bridges, according to the San Francisco Chronicle. Like California, the US government doesn't have enough tax revenues to repair the nation's crumbling infrastructure. The US Highway Trust Fund, which is funded by federal gas taxes, is slated to run out of cash in May. And according to the nonpartisan Congressional Budget Office, the federal government is looking at a $100 billion hole in transportation funding over the next five years. The federal gas tax rate has remained at 18.4 cents a gallon since 1993. In 2013, when gas prices were hovering at $4 a gallon, the idea of raising the gas tax would have been political suicide, especially for tax-averse Republicans. But now, with gas prices plummeting to near $2 a gallon, a tax increase is likely much more palatable. Oil prices have dropped from $102 a barrel in June to $40 last week. Experts have attributed the price drop to a glut of oil on the world market (the result of fracking in the United States and an oversupply of petroleum from oil producing nations in the Middle East — most notably Saudi Arabia). Raising taxes at the pump also is smart from an environmental perspective. Higher gas taxes provide an important disincentive to driving, and prompt more commuters to walk, bike, or take mass transit, which in turn, lowers greenhouse gas emissions. Higher gas prices also help drive sales for electric and plug-in vehicles. But right now, low gas prices are having the opposite effect: They're incentivizing driving and the purchase of gas-hog trucks and SUVs, thereby making climate change worse. Historically, gas taxes have been too low in the United States — certainly not high enough to sufficiently fund our infrastructure and transportation needs. That's why many economists and nonpartisan think tanks, including the Institute of Taxation and Economic Policy, which tracks tax policies nationwide, support higher gas taxes to pay for road projects. Gas taxes are user fees: If motorists want better highways to drive on, then it makes sense that they — not folks who walk, bike, or take mass transit to work — should pay to fix them . "That's a specific advantage that gas taxes have," Carl Davis of the Institute of Taxation and Economic Policy told the Express in an interview for a previous report. 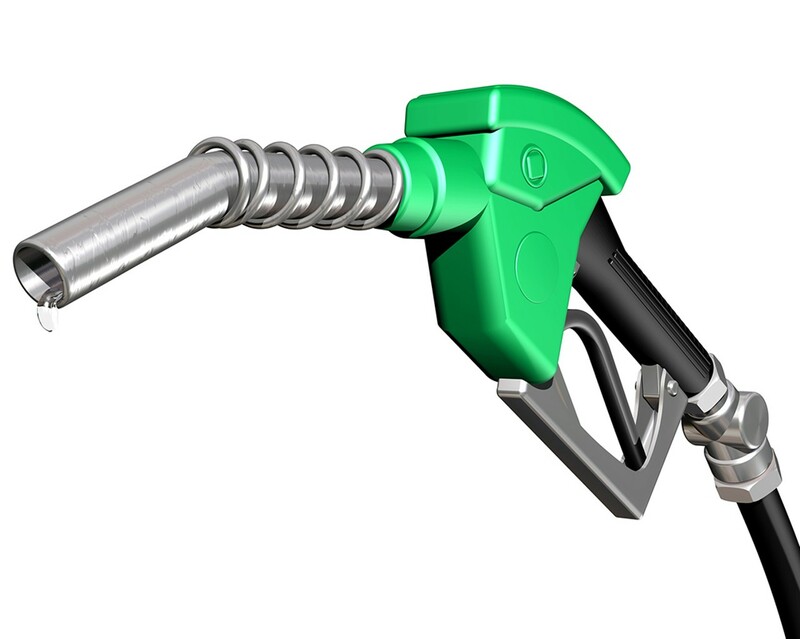 Currently, the state tax on gasoline in California is 39.5 cents a gallon. And clearly it's not high enough. A recent report by the California Department of Finance also pointed out that the failure to properly fund maintenance and repair results in higher costs down the line. "Deferring routine maintenance can lead to facility deterioration — and ultimately failure — and sometimes the need to replace the facility sooner than otherwise would have been required if properly maintained," the Department of Finance's five-year infrastructure plan noted. There's also evidence that motorists might not even notice a gas tax hike right now. Throughout the latter half of 2014, big oil companies contended that new California regulations extending the state's cap-and-trade program to gasoline on January 1 would lead to huge jumps in gas prices and sticker shock at the pump. But that never happened — because of the global oil glut. Instead, gas prices have continued to go down. Which is yet another reason why this is the best time to raise the state gas tax. Clearly, we won't be able to afford the $59 billion in maintenance and upgrades in California without it. And #BlackLivesMatter and anti-police violence demonstrators held a series of successful — and peaceful — protests over the Martin Luther King, Jr. weekend in the East Bay, including a demonstration on Monday morning outside the home of Oakland Mayor Libby Schaaf. Protesters criticized Schaaf for spending her first day as mayor with the Oakland Police Department — an agency that has a long, troubled history of abusing young people of color.